Our main customers include French road haulage operators and companies, as well as international groups. We provide full maintenance for all equipment: official road worthiness tests, brakes, tyres, lubrication, etc. We provide support to our customers, allowing them to focus on their core business. We offer made-to-measure solutions with a study of long-term possibilities and the outsourcing of a part of the semi-trailer fleet. As we renew our rental fleet, certain equipment becomes available for sale. Equipment is classed by category, according to model, the year in which it was brought into circulation and type of suspension. 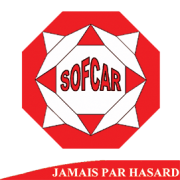 SOFRAL, Société Française de Location (the French Rental Company), was founded in 1992 and is an independent family company created using private capital. The flexibility of an SME offering the services of a network of specialists, supported by a competitive pricing policy through our tight cost control and low margins.